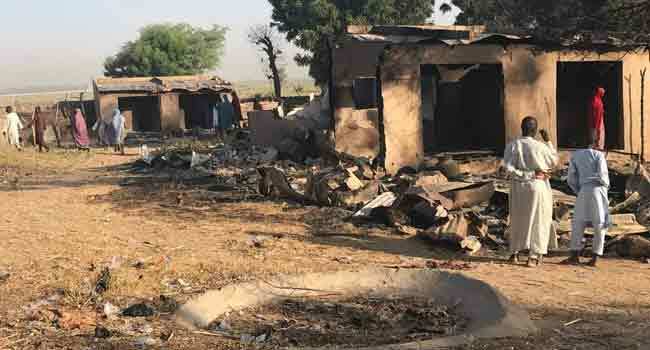 Suspected members of the Boko Haram terrorist group have killed no fewer than 10 people in an attack on some villages close to Maiduguri, the Borno State capital. 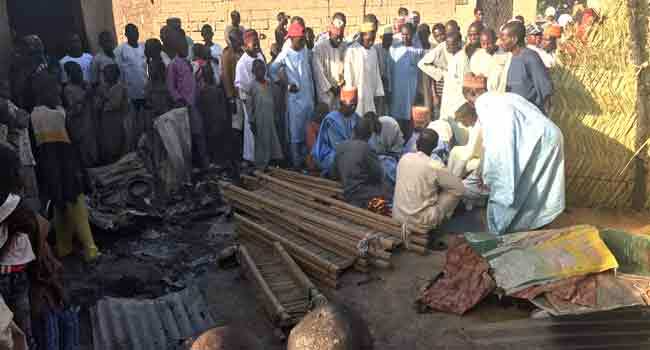 In one of the villages which came under attack on Wednesday evening – Kofa, the insurgents set ablaze the Imam of the village along with four members of his family. 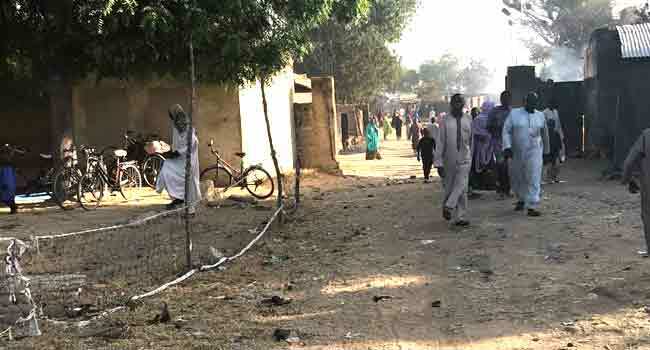 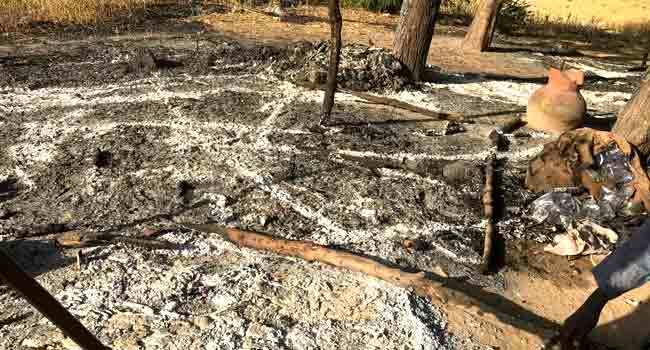 While residents were said to have fled the village during the attack, returning villagers told Channels Television on Thursday that the cleric and his family had stayed behind. 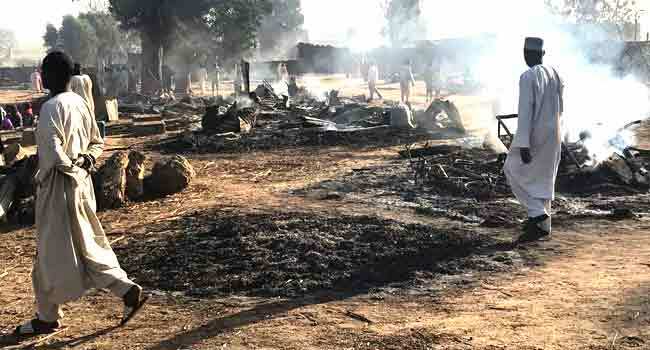 Channels Television also visited Abba Malumti and Dalori II IDP camp where eight and two people were killed respectively. 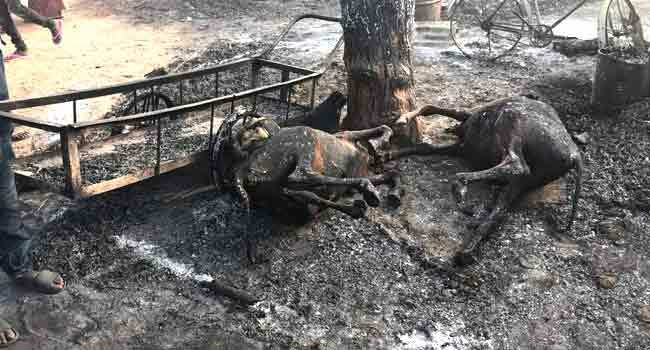 Witnesses also said many others who fled the villages might have drowned in a river. 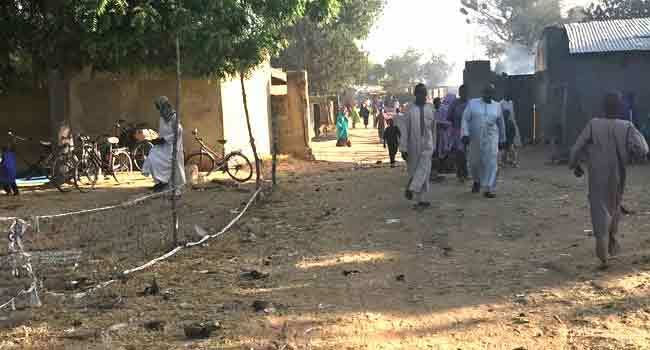 Security operatives on the ground were faced with superior firepower and outnumbered as over 200 insurgents reportedly came for the attack. 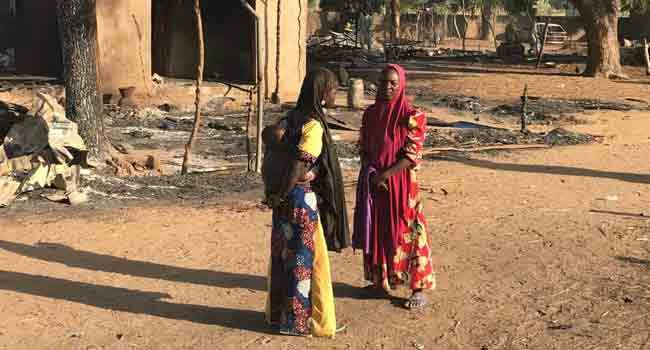 However, the police and relevant agencies have yet to issue any statement about the number of those killed in the attack.